My research develops and applies knowledge and tools for improving delivery of integrated catchment management across issues of water quality, flooding, resource use efficiency and water-energy links. My remit includes the lead of the Scottish Government five-year programme on Water and Renewable Energy. My background as a catchment biogeochemist gives an understanding across disciplines of hydrology, chemistry and ecosystems and I specialise in environmental pollution, especially relating to nutrient management. My research aims to understand catchment biogeochemical processes affecting the interactions between landscapes, their management and the resulting impacts on water quality and quantity. My studies involve examining how biological, physical and chemical processes interact to determine the fate and impacts of nutrients and other potential pollutants, such as sediments and particulate bound contaminants. It is increasingly important that we understand coupled factors of biogeochemistry to allow us to better predict and potentially control catchment processes to our benefit. Coupled nutrient cycling is a central theme to my research and provides a good example of ‘systems thinking’ at a process level. However, catchment ‘systems thinking’ has to cross multiple scales to involve processes from surface interactions between soils and flowing waters to the decisions that land managers make at field to farm scales, to regional and national policy drivers. This remains a key challenge in my work as theme leader for Managing Catchments and Coasts to provide the critical fine scale knowledge necessary to inform real world decision making at larger management and regulation scales. As land use and environmental change pressures accumulate we will be looking increasingly to sound scientific principles of biogeochemistry to help manipulate catchment systems to function more efficiently. This means learning to enhance natural biogeochemical function or understanding constraints of where to act in catchments to optimise growing demands for biodiversity, farming, energy, places to live and economic gain. Some highlights of my recent and ongoing work are given below. I have sought to link understanding from nutrient and sediment monitoring in catchments with laboratory based experimentation and characterisation of soils, sediments and their reactions with water. This has been targeted to issues such as reducing nutrient losses from farmland and explaining rising DOC concentrations in upland soils. I use novel combinations of analytical methods to study the dynamics of different nutrient forms (dissolved, particulate and organically-complexed) from sources, transport to in-river cycling. This feeds into the design of diffuse pollution mitigation methods aiming to reduce key sources and interrupt transport pathways. Through upscaling I have then examined the cumulative effectiveness of these mitigation measures at field and catchment scales including appraisals of costs and other practicalities. My ‘systems biogeochemical approach’ has allowed me to address constraints of mitigation such as pollutant swapping between dissolved nutrient to gas release and between particulate to dissolved nutrient forms. My work has shown that we cannot adopt riparian buffer strips to minimise nutrient delivery from farmland to waters without proper consideration of their management. Initial chemical studies showed high P solubility in buffer soils and further biogeochemical exploration then suggested an accelerated turnover of upslope P inputs by microbial processes. Our improved biogeochemical process knowledge suggests a need for vegetative P mining to offset buffer P accumulation. These studies highlight riparian buffers as a critical interface for attaining multiple benefits for habitat, erosion trapping, bank stabilisation, tree shading and woody debris and wider recreational benefits. This work aims to show that by coupling bank side and stream channel ecosystem services we can promote a more heterogeneous and resilient system against future coupled stressors of pollution and climate. An efficient use of the P resource is crucial to sustaining agricultural production and minimising pollution of waters. My work unites aspects of promoting efficient crop acquisition of applied P, minimising losses from the field edge and recovering beneficial resources such as P from materials previously viewed as ‘wastes’ (such as sewage or anaerobic digestate). This biogeochemical understanding is working to understand mechanisms such as how crops may compete with soils for sequestered soil P and how waste processing may optimise nutrient recovery. Read more details on the nutrient cycles page. An improved knowledge of soil phosphorus concentrations is key to better management in matching agronomic inputs to crop requirements to minimise losses such as by soil P leaching. We are doing this with in partnership with the farming community, who are actively taking part in sampling to learn more about this resource. Learn about this project and how to get involved on the farmer led phosphorus sampling page. 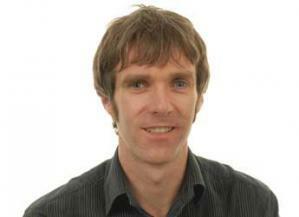 Managing Catchments and Coasts Research Theme Leader. Lead of the Scottish Government’s research theme on Safe and Sustainable Supply Chains for Water and Renewable Energy. Member of the Management Committee for the Dee Catchment Partnership. Associate Editor for Journal of Environmental Quality (2012-15). Associate Guest Editor on special editions for both Science of the Total Environment (2012) and Journal of Environmental Quality (2010). Policy delivery projects for SEPA through the Centre of Expertise for Waters: CREW: Factoring ecological significance of P into catchment source methodologies. CREW: Development of Guidelines for Management of Riparian Buffer Strips. 2012-2016: NERC and Scottish Government. The multi-scale response of water quality, biodiversity and C sequestration to coupled macronutrient cycling from source to Sea. Macronutrients Cycles Programme. 2010-2013: NERC. Environmental Virtual Observatory. 2013-2016: BBSRC. Exploiting root exudation of organic acids and phytases to enhance plant utilisation of soil phosphorus. 2011 - ongoing: Laura Cruickshank. Novel silica, lanthanide complex-doped fluorescent particles as potential soil erosion tracers. James Hutton Institute/Robert Gordon University, Aberdeen. 2012 – ongoing: Joseph Oyesikublakemore. Integrating terrestrial and hydrological-based models to assess gaseous and aquatic C:N fluxes. James Hutton Institute/University of Aberdeen. 2012: Scottish Natural Heritage. River sensor network. 2011-2013: European Regional Development Fund. INTERREG IVB WaterCAP. 2011: Rannoch Trust. Loch Laidon grazing experiment water quality report. 2010-2011: Scotland and Northern Ireland Forum for Environmental Research. Aquatic carbon fluxes from UK peatlands. 2010-2013: NERC Case Studentship. Stream bank management, retention and transport of phosphorus (SMART P). 2009: Environment Agency. Rural SuDS. 2009: JMT. JMT carbon project. 2008-2011: COST Office. COST Action 869 - Nutrient mitigation options. 2007-2009: Scottish Natural Heritage. Climate change, land management and erosion in the organic and organo-mineral soils in Scotland and Northern Ireland. Wyness, A.; Patterson, D.; Mendo, T.; Defew, E.; Stutter, M.I. ; Avery L.M. (2019) Factors affecting the spatial and temporal distribution of E.coli intertidal estuarine sediments., Science of the Total Environment 661, 155-167. Stutter, M.I. ; Kronvang, B.; Ó'Huallacháin, D.; Rozemeijer, J. (2019) Current insight into the effectiveness of riparian management, attainment of multiple benefits and potential technical enhancements., Journal of Environmental Quality, 48, 236-247. Brown, L.K. ; Kazas, C.; Stockan, J.; Hawes, C.; Stutter, M.I. ; Ryan, C.; Squire, G.; George, T.S. (2019) Is green manure from riparian buffer strip species an effective nutrient source for crops?, Journal of Environmental Quality, 48, 385-393. Richards, S.; Dawson, J.; Stutter, M.I. (2019) The potential use of natural vs commercial biosorbent material to remediate stream waters by removing heavy metal contaminants., Journal of Environmental Management, 231, 275-281. Wyness, A.J. ; Paterson, D.M. ; Defew, E.C. ; Stutter, M.I. ; Avery, L.M. (2018) The role of zeta potential in the adhesion of E. coli to suspended intertidal sediments., Water Research, 142, 159-166. Wubs, E.R.J. ; Woodin, S.J. ; Stutter, M.I. ; Wipf, S.; Sommerkorn, M.; van der Wal, R. (2018) Two decades of altered snow cover does not affect soil microbial ability to catabolize carbon compounds in an oceanic alpine heath., Soil Biology and Biochemistry, 124, 101-104. Stutter, M.I. ; Graeber, D.; Evans, C.D. ; Wade, A.J. ; Withers, P.J.A. (2018) Balancing macronutrient stoichiometry to alleviate eutrophication., Science of the Total Environment, 634, 439-447. Stutter, M.I. ; Richards, S. (2018) A novel approach to evaluating relationships between soil test and runoff P at landscape scales by integrating farmer knowledge on soil drains., Agriculture, Ecosystems and Environment, 254, 179-190. Giles, C.D. ; Richardson, A.E. ; Cade-Menun, B.J. ; Mezeli, M.M. ; Brown, L.K. ; Menezes-Blackburn, D.; Darch, T.; Blackwell, M.S.A. ; Shand, C.A. ; Stutter, M.I. ; Wendler, R.; Cooper, P.; Lumsdon, D.G. ; Wearing, C.; Zhang, H.; Haygarth, P.M.; George, T.S. (2018) Phosphorus acquisition by citrate- and phytase-exuding Nicotiana tabacum plant mixtures depends on soil phosphorus availability and root intermingling., Physiologia Plantarum, 163, 356-371. Menezes-Blackburn, D.; Giles, C.; Darch, T.; George, T.S. ; Blackwell, M.; Stutter, M.I. ; Shand, C.A. ; Lumsdon, D.; Cooper, P.; Wendler, R.; Brown, L.K. ; Almeida, D.S. ; Wearing, C.; Zhang, H.; Haygarth, P.M. (2018) Opportunities for mobilizing recalcitrant phosphorus from agricultural soils: a review., Plant and Soil, 427, 5-16. Darch, T.; Giles, C.D. ; Blackwell, M.S.A. ; George, T.S. ; Brown, L.K. ; Menezes-Blackburn, D.; Shand, C.A. ; Stutter, M.I. ; Lumsdon, D.G. ; Mezeli, M.M. ; Wendler, R.; Zhang, H.; Wearing, C.; Cooper, P.; Haygarth, P.M. (2018) Inter- and intra-species intercropping of barley cultivars and legume species as affected by soil phosphorus availability., Plant and Soil, 427, 125-138. George, T.S. ; Giles, C.D. ; Menezes-Blackburn, D.; Condron, L.M. ; Gama-Rodrigues, A.C.; Jaisi, D.; Lang, F.; Neal, A.L. ; Stutter, M.I. ; Almeida, D.S. ; Bol, R.; Cabugao, K.G. ; Celi, L.; Cotner, J.B.; Feng, G.; Goll, D.S. ; Hallama, M.; Krueger, J.; Plassard, C.; Rosling, A.; Darch, T.; Fraser, T.; Giesler, R.; Richardson, A.E. ; Tamburini, F.; Shand, C.A. ; Lumsdon, D.G. ; Zhang, H.; Blackwell, M.S.A. ; Wearing, C.; Mezeli, M.M. ; Almås, Å.R. ; Audette, Y.; Bertrand, I.; Beyhaut, E.; Boitt, G.; Bradshaw, N.; Brearley, C.A. ; Bruulsema, T.W. ; Ciais, P.; Cozzolinom, V.; Cuevas, P.D. ; Mora, M.L. ; de Menezes, A.B. ; Dodd, R.J.; Dunfield, K.; Engl, C.; Frazão, J.J.; Garland, G.; González Jiménez, J.L. ; Graca, J.; Granger, S.J. ; Harrison, A.F. ; Heuck, C.; Hou, E.Q. ; Johnes, P.J. ; Kaiser, K.; Kjær, H.A. ; Klumpp, E.; Lamb, A.L. ; Macintosh, K.A. ; Mackay, E.B. ; McGrath, J.; McIntyre C.; McLaren, T.; Mészáros, E.; Missong, A.; Mooshammer, M.; Negrón, C.P. ; Nelson, L.-A. ; et.al. (2018) Organic phosphorus in the terrestrial environment: a perspective on the state of the art and future priorities., Plant and Soil, 427, 191-208. Giles, C.D. ; Dupuy, L.; Boitt, G.; Brown, L.K. ; Condron, L.; Darch, T.; Blackwell, M.S.A. ; Menezes-Blackburn, D.; Shand, C.A. ; Stutter, M.I. ; Lumsdon, D.G. ; Wendler, R.; Cooper, P.; Wearing, C.; Zhang, H.; Haygarth, P.M.; George, T.S. (2018) Root development impacts on the distribution of phosphatase activity: Improvements in quantification using soil zymography., Soil Biology and Biochemistry, 116, 158-166. Richards, S.; Withers, P.J.A. ; Paterson, E.; McRoberts, C.W. ; Stutter, M.I. (2017) Removal and attenuation of sewage effluent combined tracer signals of phosphorus, caffeine and saccharin in soil., Environmental Pollution, 223, 277-285. Richards, S.; Withers, P.J.A. ; Paterson, E.; McRoberts, C.W. ; Stutter, M.I. (2017) Potential tracers for tracking septic tank effluent discharges in watercourses., Environmental Pollution, 228, 245-255. Stutter, M.I. ; Cains, J, (2017) Changes in aquatic microbial responses to C-substrates with stream water and sediment quality related to land use pressures., Chemosphere, 184, 548-558. Giles, C.D. ; George, T.S. ; Brown, L.K. ; Mezeli, M.; Shand, C.A. ; Richardson, A.E. ; Mackay, R.; Wendler, R.; Darch, T.; Menezes-Blackburn, D.; Cooper P.; Stutter, M.I. ; Lumsdon, D.; Blackwell, M.S.A. ; Wearing, C.; Zhang, H.; Haygarth, P.M. (2017) Linking the depletion of rhizosphere phosphorus to the heterologous expression of a fungal phytase in Nicotiana tabacum as revealed by enzyme-labile P and solution 31 P NMR spectroscopy., Rhizosphere, 3, 82-91. Giles, C.D. ; Brown, L.K. ; Adu, M.O. ; Mezeli, M.M. ; Sandral, G.A. ; Simpson, R.J.; Wendler, R.; Shand, C.A. ; Menezes-Blackburn, D.; Darch, T.; Stutter, M.I. ; Lumsdon, D.; Zhang, H.; Blackwell, M.S.A. ; Wearing, C.; Cooper, P.; Haygarth, P.M.; George, T.S. (2017) Response-based selection of barley cultivars and legume species for complementarity: Root morphology and exudation in relation to nutrient source., Plant Science, 255, 12-28. Menezes-Blackburn, D.; Paredes, C.; Zhang, H.; Giles, C.D. ; Darch, T.; Stutter, M.I. ; George, T.S. ; Shand, C.A. ; Lumsdon, D.; Cooper, P.; Wendler, R.; Brown, L.; Blackwell, M.; Wearing, C.; Haygarth, P.M. (2016) Organic acids regulation of chemical microbial phosphorus transformations in soils., Environmental Science and Technology, 50, 11521-11531. Kaspersen, B.S. ; Jacobsen, T.V. ; Butts, M.B. ; Boegh, E.; Muller, H.G. ; Stutter, M.I. ; Fredenslund, A.M.; Kjaer, T. (2016) Integrating climate change mitigation into river basin management planning for the Water Framework Directive - A Danish case., Environmental Science and Policy, 55, 141-150. Richards, S.; Paterson, E.; Withers, P.J.A. ; Stutter, M.I. (2016) Septic tank discharges as multi-pollutant hotspots in catchments., Science of the Total Environment, 542, 854-863. Lumsdon, D.G. ; Shand, C.A. ; Wendler, R.; Edwards, A.C.; Stutter, M.I. ; Richards, S.; Sinclair, A.H. (2016) The relationship between water-soluble P and modified Morgan P: results based on data and chemical modelling., Soil Use and Management, 32, 162-171. Menezes-Blackburn, D.; Zhang, H.; Stutter, M.I. ; Giles, C.D. ; Darch, T.; George, T.S. ; Shand, C.A. ; Lumsdon, D.; Blackwell, M.; Wearing, C.; Cooper, P.; Wendler, R.; Brown, L.; Haygarth, P.M. (2016) A holistic approach to understanding the desorption of phosphorus in soils., Environmental Science and Technology, 50, 3371-3381. Stutter, M.I. ; Cairns, J. (2016) The mineralisation of dissolved organic matter recovered from temperate waterbodies during summer., Aquatic Sciences, 78, 447-462. Richards, S.; Withers, P.J.A. ; Paterson, E.; McRoberts, C.W. ; Stutter, M.I. (2016) Temporal variability in domestic point source discharges and their associated impact on receiving waters., Science of the Total Environment, 571, 1275-1283. Hough, R.L. ; Amponsah, N.; Troldborg, M.; Allan, R.; Stutter, M.I. (2016) Water resource balancing: is a closed loop system possible that enable sustainable rural supplies?, Project Report for CREW, CRW2014_06, 15pp. Cruickshank, L.; Officer, S.; Pollard, P.; Prabhu, R.; Stutter, M.I. ; Fernandez, C. (2015) Rare elements electrochemistry: the development of a novel electrochemical sensor for the rapid detection of europium in environmental samples using gold electrode modified with 2-pyridinol-1-oxide., Analytical Sciences, 31, 623-627. Stutter, M.I. ; Shand, C.A. ; George, T.S. ; Blackwell, M.S.A. ; Dixon, L.; Bol, R.; MacKay R.L. ; Richardson, A.E. ; Condron, L.M. ; Haygarth, P.M. (2015) Land use and soil factors affecting accumulation of phosphorus species in temperate soils., Geoderma, 257, 29-39. Jackson-Blake, L.A.; Dunn, S.M. ; Helliwell, R.C. ; Skeffington, R.A.; Stutter, M.I. ; Wade, A.J. (2015) How well can we model stream phosphorus concentrations in agricultural catchments?, Environmental Modelling and Software, 64, 31-46. Wipf, S.; Sommerkorn, M.; Stutter, M.I. ; Wubs, E.R.J. ; van der Wal, R. (2015) Snow cover, freeze-thaw, and the retention of nutrients in an oceanic mountain ecosystem., Ecosphere, 6, Article No. 207. Stutter, M.I. (2015) The composition, leaching, and sorption behavior of some alternative sources of phosphorus for soils., Ambio, 44 S207-S216. Richards, S.; Paterson, E.; Withers, P.J.A. ; Stutter, M.I. (2015) The contribution of household chemicals to environmental discharges via effluents: combining chemical and behavioural data., Journal of Environmental Management, 150, 427-434. Collins, A.L. ; Stutter, M.I. ; Kronvang, B. (2014) Mitigating diffuse pollution from agriculture: International approaches and experience., Science of the Total Environment, 468-469, 1173-1177. Stutter, M.I. ; Richards, S.; Dawson, J.J.C. (2013) Biodegradability of natural dissolved organic matter collected from a UK moorland stream., Water Research, 47, 1169-1180. Roberts, W.M. ; Matthews, R.A.; Blackwell, M.S.A. ; Peukert, S.; Collins, A.L. ; Stutter, M.I. ; Haygarth, P.M. (2013) Microbial biomass phosphorus contributions to phosphorus solubility in riparian vegetated buffer strip soils., Biology and Fertility of Soils, 49, 1237-1241. Stutter, M.I. ; Richards, S. (2012) Relationships between soil physicochemical, microbiological properties, and nutrient release in buffer soils compared to field soils., Journal of Environmental Quality, 41, 400-409. Shand, C.A. ; Stutter, M.I. ; George, T.S; Lumsdon, D.G. ; Blackwell, M.S.A; Bol, R; Haygarth, P.M; Condron, L; Richardson, A.E. ; Turner, B.L. (2012) Can soil organic phosphorus reduce reliance on mineral fertilisers?, 3rd Sustainable Phosphorus Summit 2012, Sydney, Australia, 29 February - 2 March 2012. Stutter, M.I. ; Richards, S.; Langan, S.J; Lumsdon, D.G. (2010) Reply to comment on 'Multi-element' signatures of stream sediments and their sources under moderate to low flow conditions., Applied Geochemistry, 25, 1617-1619. Stutter, M.I. ; Demars, B.O.L. ; Langan, S.J. (2010) River phosphorus cycling: separating biotic and abiotic uptake during short-term changes in sewage effluent loading., Water Research, 44, 4425-4436. Jackson-Blake, L.; Kenyon,W. ; Macleod, K.; Matthews, K.B. ; Stutter, M. (2011) Policy brief on water management: how to find win-win solutions., Policy Briefs for preliminary contact with DG staff in Brussels prior to interviewing. Stutter, M.I. ; Baggaley, N.; Barry, C.; Chapman, S.J. ; Dawson, J.J.C. ; Helliwell, R.C. ; Higgins, A.; Howden, N.; Jackson-Blake, L.; Lumsdon, D.G. ; Malcolm, I.; Sample, J.; Potts, J.; Worrall, F. (2011) Assessment of the contribution of aquatic carbon fluxes to carbon losses from UK peatlands. Final report, SNIFFER Contract Report ER18, July 2011. Stutter, M.I. (2011) Water quality monitoring consultation for the Loch Laidon cattle grazing experiment., Report to Lord Pearson and the Rannoch Moor Trust, September 2011. Slee, B.; Chapman, S.; Pajot, G.; Stutter, M.I. ; Donnelly, D. (2009) A scoping study of the nature and extent of soil carbon reserves and of the actual and potential for carbon sequestration on the John Muir Trust's Skye estates., Report to the John Muir Trust, October 2009, 63pp. Avery, L.M. ; Booth, P.; Stutter, M.I. ; Vinten, A.J.A. ; Langan, S.J. (2009) Rural sustainable drainage systems (SuDS): Technical specification., Environment Agency. Lilly, A.; Birnie, R.V.B; Futter, M.N. ; Grieve, I.C. ; Higgins, A.; Hough, R.L. ; Jones, M.A. ; Jordan, C.; Nolan, A.J. ; Stutter, M.I. ; Towers, W.; Baggaley, N.J. (2009) Climate change, land management and erosion in the organic and organo-mineral soils in Scotland and Northern Ireland., SNH Commissioned Report, No. 325 (ROAME No. F06AC104 - SNIFFER UKCC21). Langan, S.J. ; Cooksley, S.L. ; Young, M.; Stutter, M.I. ; Scougall, F.; Dalziel, A.; Feeney, I. (2007) The management and conservation of the freshwater pearl mussel Margaritifera margaritifer L. in Scottish catchments designated as special areas of conservation or sites of special scientific interest., Scottish Natural Heritage Commissioned Report No 249 (ROAME No. F05AC607). Stutter, M.I. (2005) 3Dee Vision Lower Tarland burn catchment survey., Aberdeenshire Council and 3Dee Vision Partners. Haygarth, P.; Scholefield, D.; Chadwick, D.; Cardenas, L.; Butler, P.; Shepherd, M.; Goodlass, G.; Withers, P.; Chambers, B.; Lord, E.; Cottrill, B.; Smith, K.; Harris, D.; Ferrier, R.C. ; Stutter, M.I. ; Carvalho, L.; Anderson, J.; White, P.; et al. (2004) Reviewing the potential for reductions in nitrogen and phosphorus inputs in current farming systems., Contract Report to DEFRA for Contract 105032. 206pp.